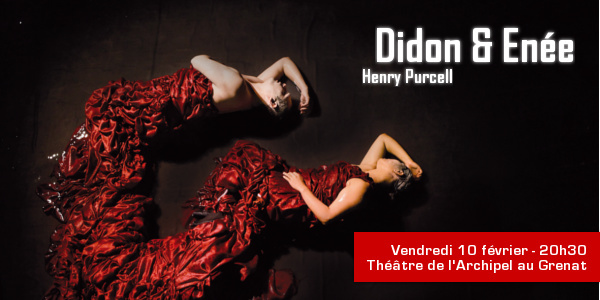 French company ‘Théâtre de la Mezzanine’ presents their latest show, “Dido and Aeneas”, an adaptation of Henry Purcell’s opera. Known for its eccentric and dreamy performances of great visual impact, this contemporary vision of “Dido and Aeneas”, is one of the most famous baroque operas of the well-known British composer Henry Purcell. Director Denis Chabroullet, explores a whole range of scenic possibilities to transport spectators into the underground world of Carthage where Dido and Aeneas live a passion haunted by a tragic destiny. Inspired by Henry Purcell’s baroque masterpiece, Chabroullet imagined Carthage as the basement of a riparian old factory. Machines mounted on stilts, seeping water pipes, a renewed tradition of baroque theatre, appearances and disappearances, based on illusion, movement and metamorphosis.Chaos and beauty, nightmares and dreams, a lake full of water, where the ﬂoating remains of an abandoned factory lie: a mysterious space over which it extends a set of rusty pipes and a platform where the orchestra is placed on the show…. Il existe deux types de gens : ceux qui divisent les gens en deux catégories, et les autres.